You’ll love this little cabin in the woods! Easy access from action packed Pigeon Forge, yet peaceful and quiet for those relaxing getaways! Enjoy the hot tub on the screened in porch right next to the creek….hmmmmmmmm! There is also access to our swimming pool, hiking trails and you won’t want to miss the waterfall! The kitchen is fully equipped to prepare a full meal or enjoy late night snacks! Come on, the Smoky Mountains are calling you! 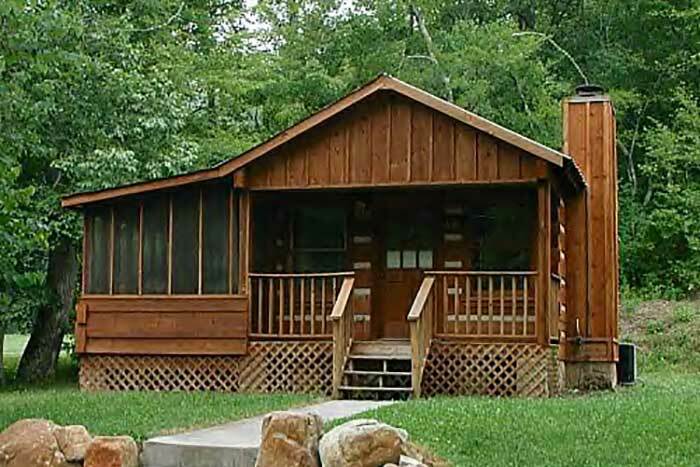 Log Cabin – 1 bedroom/1 bathroom with a king bed. Living area with queen sleeper sofa. Gas burning fireplace, direct TV with DVD/VCR combo. 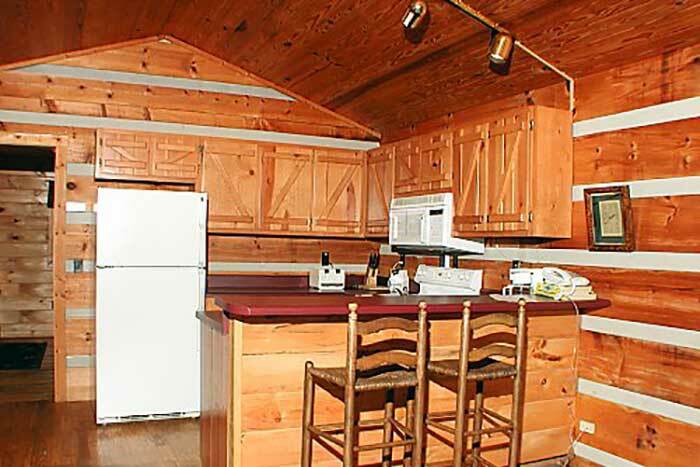 Fully equipped kitchen with microwave, dishwasher, washer, and dryer. Hot tub on screened in porch next to a creek. 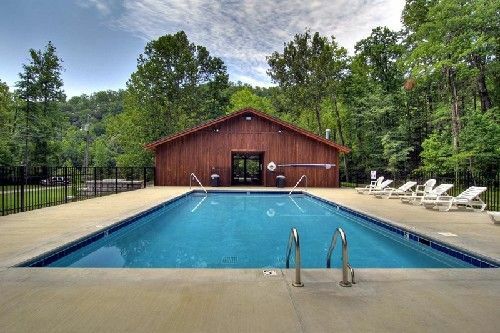 Swimming pool and pavilion on grounds, accessible to all Mountain Falls guests.